Länk uses photographs as a starting point for his paintings. In Stockholm, his home town, and while travelling abroad, he takes shots of random people. He believes that a painting adds both volume and a sense of presence to the gestures that the camera is unable to record. 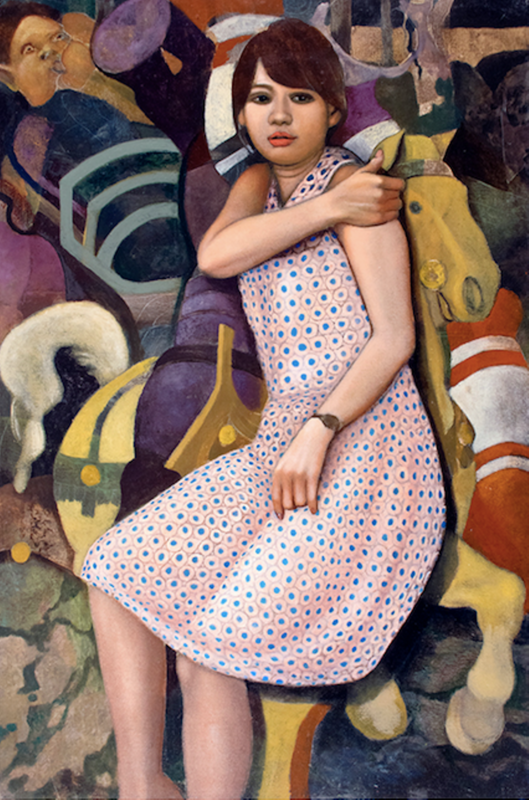 The resulting works encompass studies of individuals, elaborate in detail and with strong features. They are often positioned in front of abstract patterns, with a task at hand. 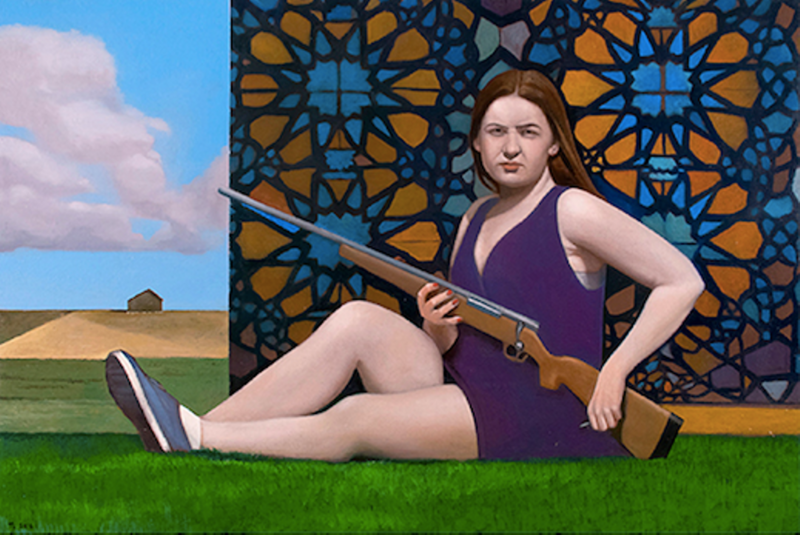 One girl is reading a book, while a woman sits comfortably on a lawn, looking out of the canvas with a sharp and steady gaze, holding a big rifle in her lap.